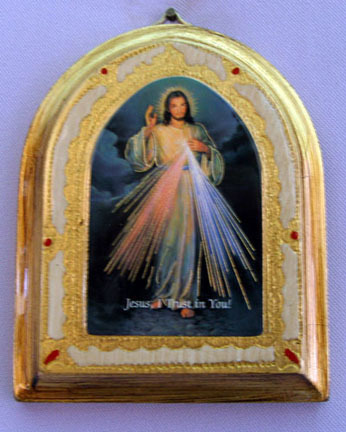 A beautiful Divine Mercy and St. Faustina Bell-shaped Florentine plaque. The plaque is 3 1/2"x 4 1/2" tall and is a high gloss print. Made in Italy.